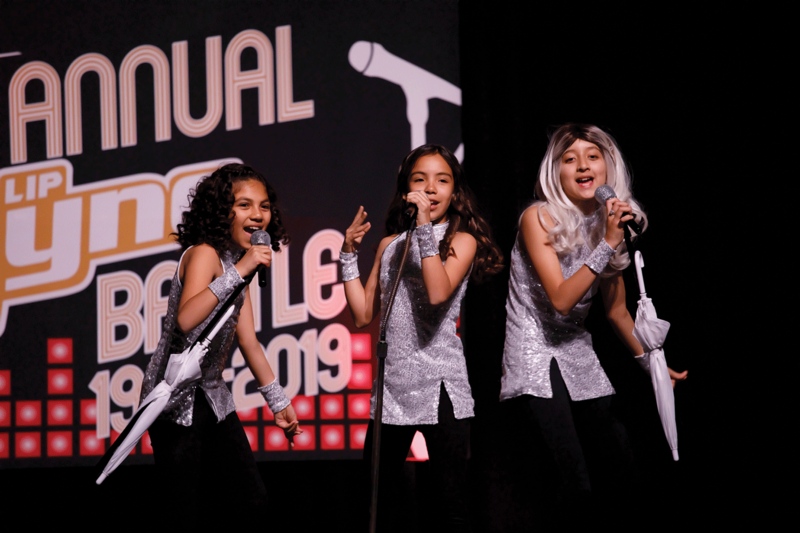 VISALIA – Student groups from throughout Tulare County performed their favorite songs in front of hundreds of friends and family last Friday at the 30th annual Friday Night Live Lip Sync Competition. The Lip Sync Competition is designed to celebrate the efforts of Tulare County school groups in the competition. Friday Night Live creates opportunities for school-age youth to be involved in high energy, life-affirming activities promoting abstinence from alcohol, tobacco, drugs, gang participation and violence. Participation in Friday Night Live builds partnerships for positive and healthy youth development which engage youth as active leaders and resources in their communities. Thirty-one teams from elementary and middle schools competed in the live competition March 29 at the Visalia Convention Center. Students vied for first-, second- and third-place awards in dance, lip sync and novelty categories. First place in Lip Sync went to a group of students from the CHOICES Afterschool Program at Lincoln Elementary in Dinuba. Anabel Avila, Jahaira Huerta, Heaven Gonzaelez, Luis Martinez, and Cristobel Guzman performed “East Side” by Benny Blanco, Halsey, and Khalid. Second place went to a group from the FUEL Afterschool Program at Monson-Sultana Elementary School. David Camrillo, Mariah Munoz, Aaliyah Costa, Ethany Garza, Richard Moreno, and Gabriela Rosales sang “My Girl” by the Temptations. A group of students from Waukena Elementary’s CHOICES Afterschool Program took third place. Aleyda Ceballos, Marianne Mendoza, and Agustin Ceballos sang “Chilln’ Like a Villain” from Disney’s “Descendants 2” soundtrack. The Dance category was won by El Monte Middle School in Orosi. Ximena Carreon, Alexa Villa, Sonia Garcia, Jimena Fonseca, Marisol Garcia, and Jose Quintana sang a “Mix” of songs. Second place went to students in the CHOICES Afterschool Program at Washington Intermediate School in Dinuba. Marlene Pimental, Ieeandra Reyes, Citlali Gutierrez, and Kalie Romero sang a “Mashup” of popular songs. Third place went to Los Tules Middle School in Tulare. Jessica Martinho, Jaida Padilla, Hanna Laureano sang “Hold On” by Wilson Phillips.